The annual summer tyres test published by the TCS (Touring Club Switzerland) allows consumers to know which tyres are the most efficient and reliable for the 2014-summer season. The test was performed on 33 tyres from two different dimensions: the 175/65 R14 82T dimension, corresponding to tyres for small cars, and the 195/65 R15 91V dimension, found on sporty city cars. Selected criteria include tyres’ behaviour on wet and dry roads, fuel consumption, noise, wear and tear, resistance at high speed and longevity. For the 175/65 R14 82T dimension, Continental is the winner with its Conti EcoContact 5. It scored 68% in front of the Hankook Kinergy Eco K425 and the Pirelli Cinturato P1 Verde which both scored 66%. The Debica Passio 2, the Komoran Impulser b2 and the Kleber Dynaxer HP 3 are at the end of the ranking. They respectively scored 10%, 10% and 6% due to their poor performances on wet surface. For the 195/65 R15 91V dimension, Goodyear reached the first place with a score of 68% for its EfficientGrip Performance tyre. It is followed by the Dunlop Sport Blu Response and the Hankook Kinergy Eco K425 which both reached a score of 66%. In the lower part of the ranking we can find the Apollo Alnac 4G which scored 30% and the Federal Formoza FD2, the only tyre reaching the score of 0% because of its inefficiency on wet surfaces. 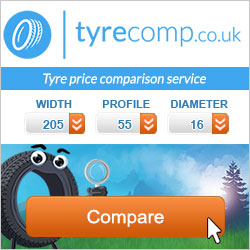 *Prices are calculated based on the cheapest tyres sold by merchants on Tyrecomp.co.uk in April 2014. The Hankook Kinergy Eco K425 is the big winner of the test. It is ranked in the top 3 of both dimensions, an excellent performance compared to the 2013 ranking. However Michelin lost places compared to its competitors. The Energy Saver + appears twice in the “recommended” category for both dimensions. Last year the tyre scored the best note for the 185/60 R15 H dimension. Nokian confirms its reliability by its presence in the “highly recommended” category for both dimensions.